MADRID — The first of four alleged members of a terror cell accused of killing 15 people in attacks in Barcelona and a Spanish resort appeared in court Tuesday, a day after the last missing member of the cell was gunned down by police near Barcelona. The four men were arrested last week for their alleged involvement in the planning or execution of attacks in Barcelona on Thursday and the northeastern resort town of Cambrils early Friday. They were to testify before National Court Judge Fernando Andreu in Madrid. The judge will decide whether they should be jailed preventively or released, with or without conditions. Spanish media have named the suspects but these names have not yet been confirmed by police. 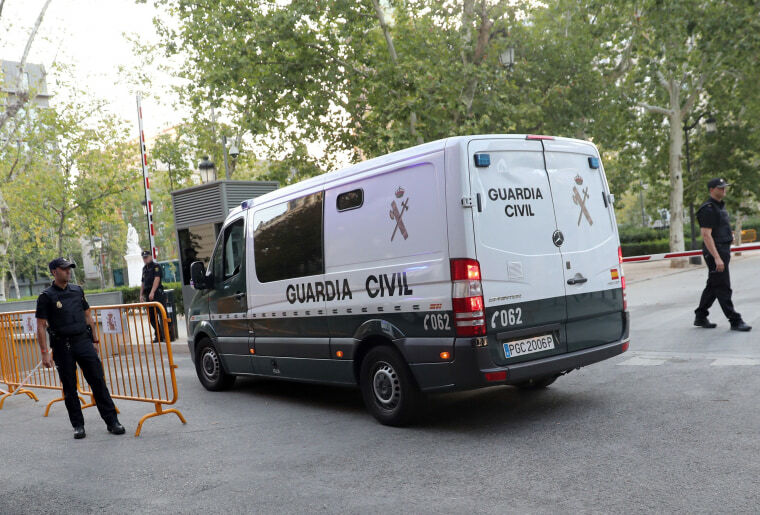 The four were arrested following the attacks: Three in the northern Catalan town of Ripoll and another in Alcanar, south of Barcelona, where a house that was blown apart turned out to be a botched bomb-making workshop. The lone fugitive from the cell was shot to death Monday after he flashed what turned out to be a fake suicide belt at two troopers who confronted him in a vineyard not far from the city he terrorized. Police said they had "scientific evidence" that the fugitive Younes Abouyaaqoub, 22, drove the van that barreled through Barcelona's crowded Las Ramblas promenade, killing 13 people Thursday, then hijacked a car and fatally stabbed its driver while making his getaway. Officials say Abouyaaqoub was part of a 12-man extremist cell, along with an imam who was one of two people killed in the Alcanar house. Police said that with Abouyaaqoub's death, the group responsible for last week's fatal van attacks has now been broken. Five of the 12 suspects were shot dead by police in the seaside town of Cambrils, where a second van attack left one pedestrian dead hours after the Barcelona van attack. ISIS has claimed responsibility for both the Cambrils and Barcelona attacks.